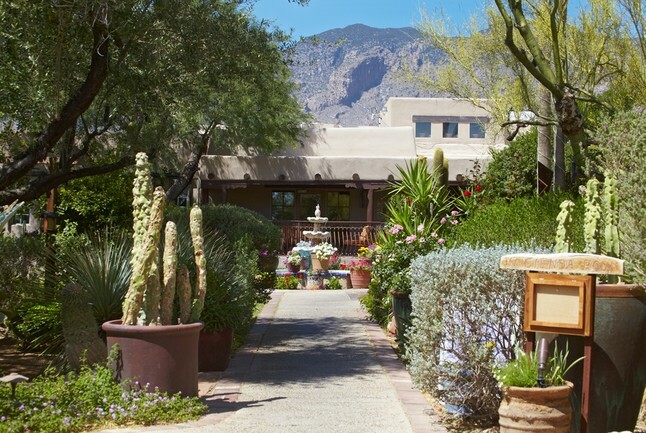 Hacienda del Sol is a historic jewel on 34 acres in the foothills of the Catalina Mountain range. In 1929, John and Helen Murphey created Hacienda Del Sol; a desert retreat, with many personal touches crafted by the Murphey's . The property was originally a school for the daughters of society's elite families. Today it is luxury resort with a Triple A Four Diamond restaurant. You can get more information about these rooms and the hotel from the Hacienda del Sol website.